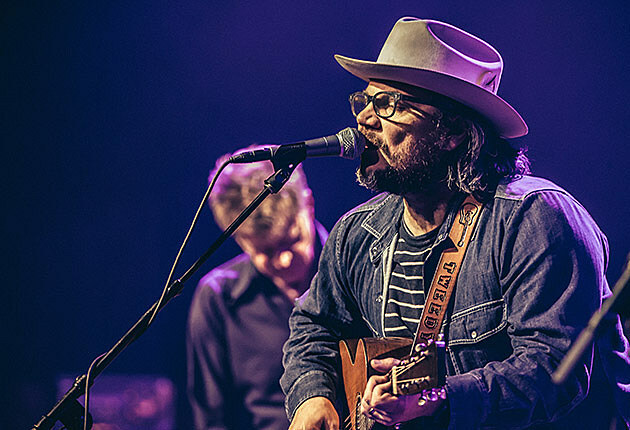 Wilco have announced a pair of shows in their hometown of Chicago in early 2017. This is the return of their Winterlude shows from back in 2014, when they played a six-night residency at The Riviera. These ones are at an even bigger venue, as they’ll play three shows at the Chicago Theatre on February 22, 23 & 25. Tickets for all three shows go on Wilco presale Wednesday (11/16) at 10 AM and on sale to the general public Friday (11/18) at 10 AM. Those shows come after some European dates with William Tyler, and after that they’ll hit Big Ears fest in March. They also have their own festival, Solid Sound, based in Western MA, and the 2017 edition takes place June 23-25 (with the lineup still TBA). Wilco released Scmilco earlier this year. Listen to that, and check out all tour dates, below.